Welcome to Wairoa Motel, situated in a quiet residential area less than 1km from the main road, yet only a 5-minute walk to the main street of town, the Wairoa River and the beach. Whether travelling for business or pleasure, Wairoa Motel should be your first choice if you are looking for quiet accommodation with all the comforts of home. With a variety of rooms, we can accommodate the discerning traveller, right through to larger families or groups. All rooms feature full cooking and tea and coffee making facilities. 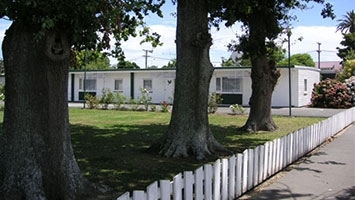 Wairoa Motel offers all guests free WiFi, Sky TV (5 channels) a swimming pool and a barbecue area. Your friendly hosts are on-site at all times and happy to help with providing local information and things to do. Our aim is to ensure your stay with us is as comfortable and enjoyable as possible. We look forward to having you stay with us at Wairoa Motel! Wairoa is situated on State Highway 2 between Gisborne and Napier, and is a small town with a huge history. The gateway to Te Urewera National Park and Lake Waikaremoana, this little town is perfect for those wanting to experience a variety of activities such as a dip in the Morere Hot Springs, fishing along the beach or simply to relax, unwind and plan the next part of your journey. Our friendly staff at Wairoa Motel can offer you advice on where to go, and what to see and do in this lovely little town. 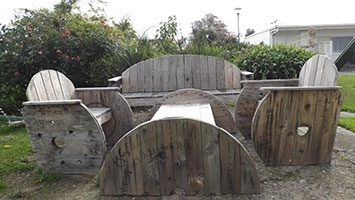 Check out our Activities page for all that Wairoa has to offer... you just might be surprised!